Alpha Tackle Polaris English manual ! Alpha Tackle is one of the brand of Atec Inc, the number 4th fishing products maker in Japan. Alpha Tackle series is very popular amang Japanese anglers with it's quality and cost performance. However, since Atec sell their electric reel only in Japan, there is no English manual. So, we - Tackle-umi make original English manual for Alpha Tackle Polatris iv500 English manual. 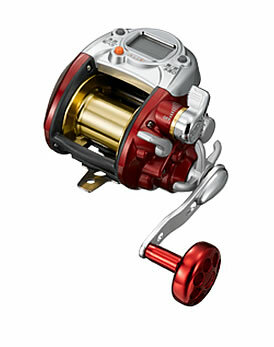 This Alpha Tackle Polatris iv500 is compact but powerfull electric reel , best for beginner. We highly recommend your 1st electric reel for this Japan made High quality Polaris iv500. You can get English manual only from Tackle Umi! !